Katherine Anderson, leading a tour at her flower farm. It is my pleasure today to introduce you to Katherine Anderson, a flower farmer who’s also an innovative floral designer. Katherine is the creator and owner of Marigold and Mint, a flower shop and studio in Seattle’s trendy Capitol Hill district that takes its influences from Europe, Asia and America’s maker/handcrafter movement. Marigold and Mint (the shop) is filled with flowers that Katherine grows on land her family has owned for three generations, ever since the 1950’s. 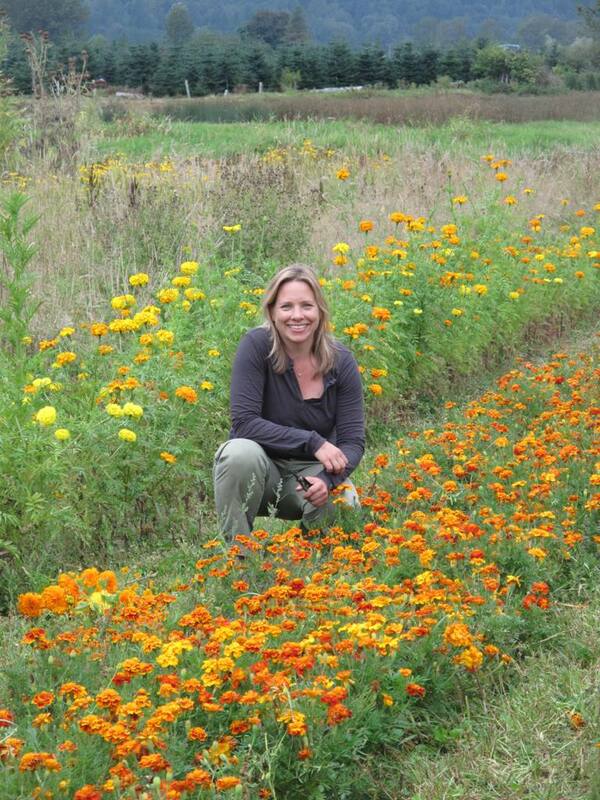 Although she didn’t start flower farming as a career until she was in her thirties, Katherine has been connected to soil, plants and cultivation ever since she gardened with her father as a child. In 2008, she stepped off the corporate track as a Harvard-trained landscape architect to raise her children and return to the land as a flower farmer. Katherine began by planting rows of annual flowers and herbs. She started with the idea of selling locally grown flowers to florists and chefs. Katherine, surrounded by marigolds – at her growing fields, a part of Oxbow Farm, east of Seattle. 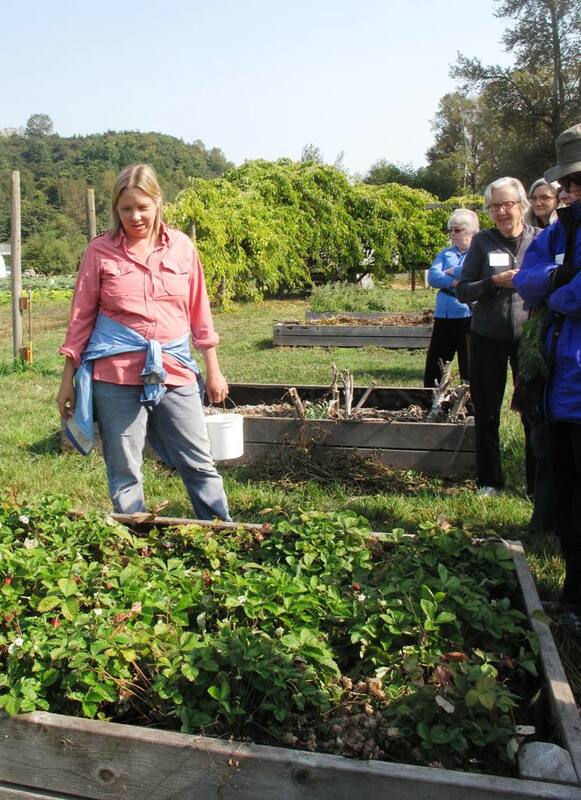 Much of the land her family owns is leased to Oxbow Organic Farm & Education Center, which among other programs, operates a food CSA that supplies households and restaurants. There was plenty of acreage for Katherine’s annuals, herbs, perennials, garden roses and ornamental shrubs. Four years ago, she opened a small shop. Marigold and Mint is located next to a popular farm-to-table Seattle restaurant, which she regularly supplies with herbs and culinary ingredients (a few summers ago, when I visited the farm, Katherine was harvesting nasturtium seeds for the chef to pickle and use in dishes, like capers). 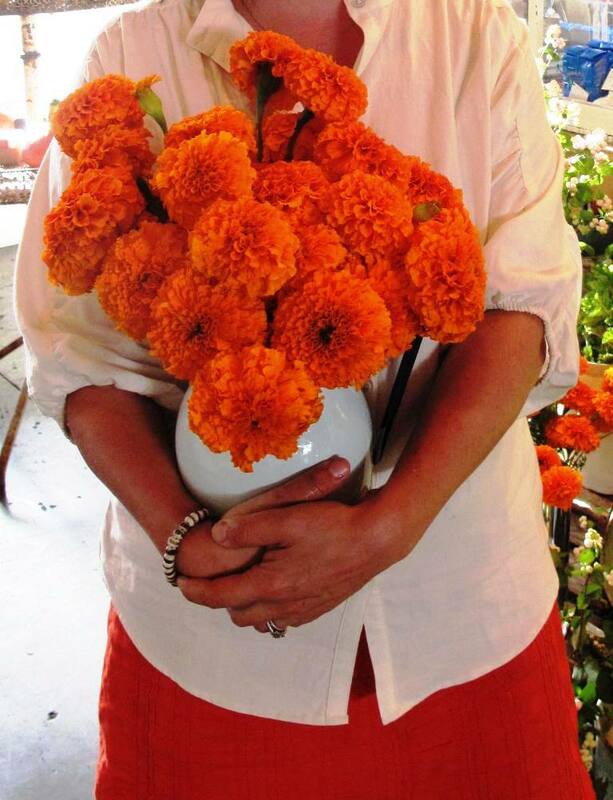 She has a special affinity for marigolds – she grows 15 or so varieties each season, including ‘Frances’ Choice’, ‘French Brocade’, ‘African’, the Signet series, ‘Durango Outback’, ‘Queen Sophia’, ‘Vanilla’ and ‘Tangerine Gem’ – and many more. A glimpse inside Marigold & Mint. Earlier this year, Katherine and restaurateur Matthew Dillon, the same chef she’s been supplying for years, joined together to open a new venture called The London Plane. Located in historic Seattle’s Pioneer Square neighborhood, The London Plane is a shop, cafe, bakery, wine bar, and events space. 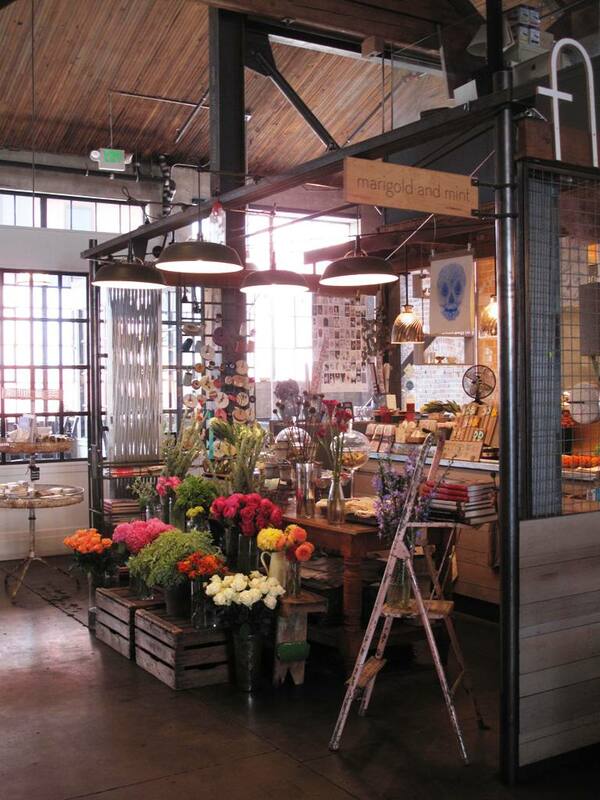 Occupying two corners of Pioneer Square’s Occidental Mall, The London Plane’s larger space is home to a cafe, bakery, flower counter, grocery and larder shop. Customers can be seen frequently stopping by for something to eat or drink, or shop our grocery and larder selection to prepare a meal at home. The smaller space, called, The Little London Plane, is a wine shop, wine bar and event space. There, you can grab a glass of wine and graze on a simple selection of bar foods, or shop for wines to takeaway. If you’re in the Seattle area, sign up for one of the new floral design series, beginning in early April at The London Plane. 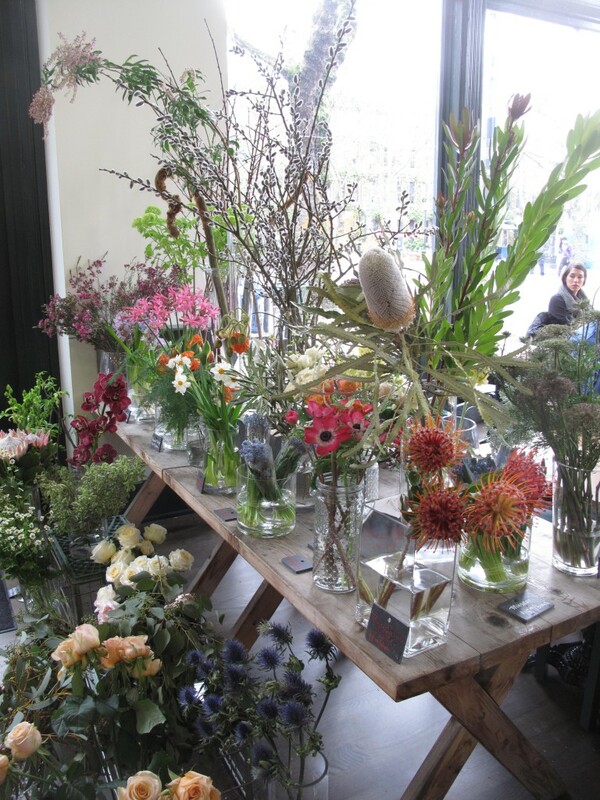 The floral department at The London Plane – in Seattle’s Pioneer Square. Hand-tied bouquets, Wednesday, April 2nd, 2014; 6:00 p.m.-8:00 p.m.
Spring Arrangements, Wednesday, April 16th, 2014; 6:00 p.m.-8:00 p.m.
Mother’s Day Flower Arranging, Saturday, May 3rd, 2014; 3:00 p.m.-6:00 p.m.
Katherine’s arms are filled with vivid orange marigolds, just harvested at the height of the season. 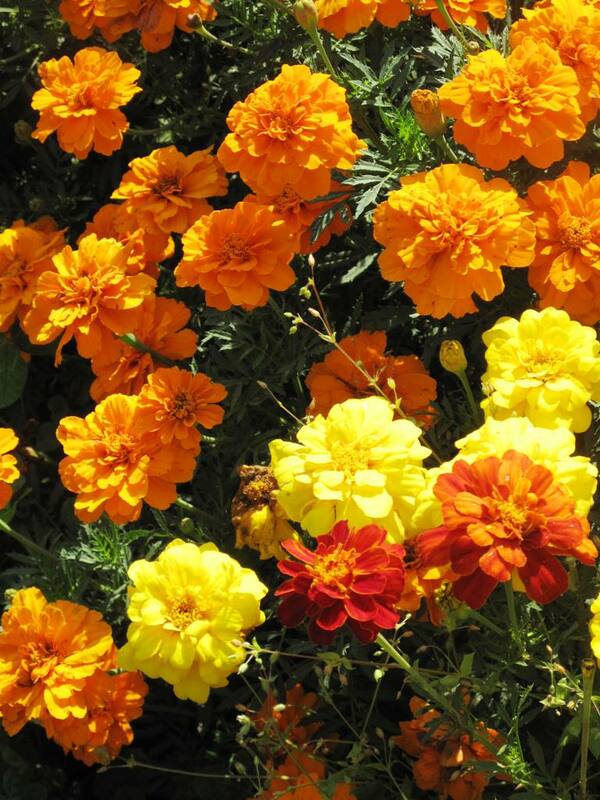 It all began with Marigolds: Katherine’s love for the timeless appeal of this vintage annual. “We love to be surprised by the stunning complexity of a flower or a branch, and to that end we are always trying out new types of flowers and other plants with ornamental value,” Katherine writes on her web site. 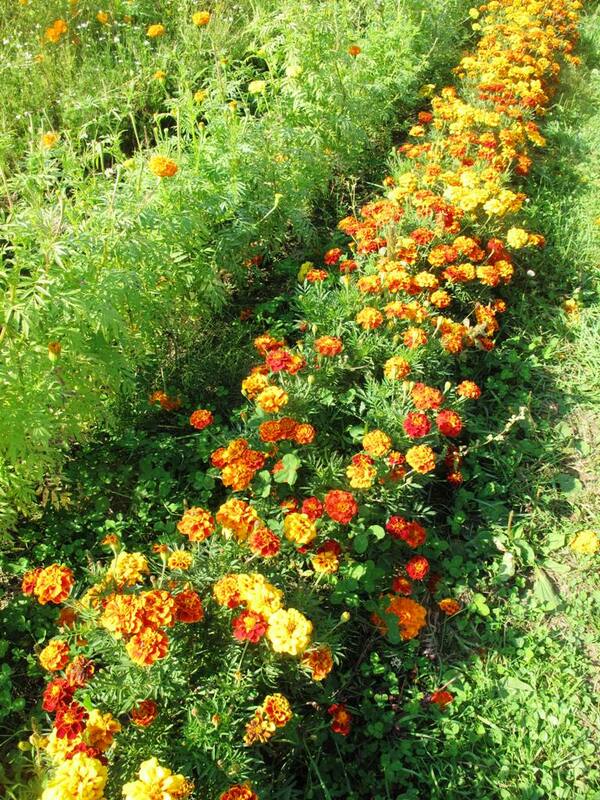 Rows and rows of marigolds. Flowers are living things and they are a commodity shipped around the world. Considering the fuel cost and chemicals used to keep lovely, fragile flowers protected and alive en route from, say, Tanzania to Tennessee, we prefer to grown and buy local. 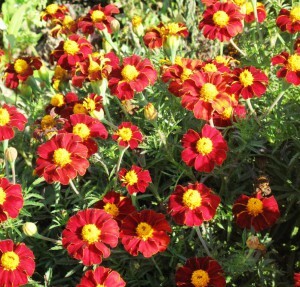 At Marigold and Mint, we strive through our organic and sustainable agricultural practices to do no harm to the environment and all the people and animals that live in it, and to balance any harm (such as some reliance on fossil fuels) with a healthy serving of good: by growing and selling natural fragrant flowers and herbs within the Northwest. We work hard to build soil fertility, create habitat, and protect genetic diversity by growing countless varieties of flowers and herbs. more marigolds . . .
another fascinating variety . 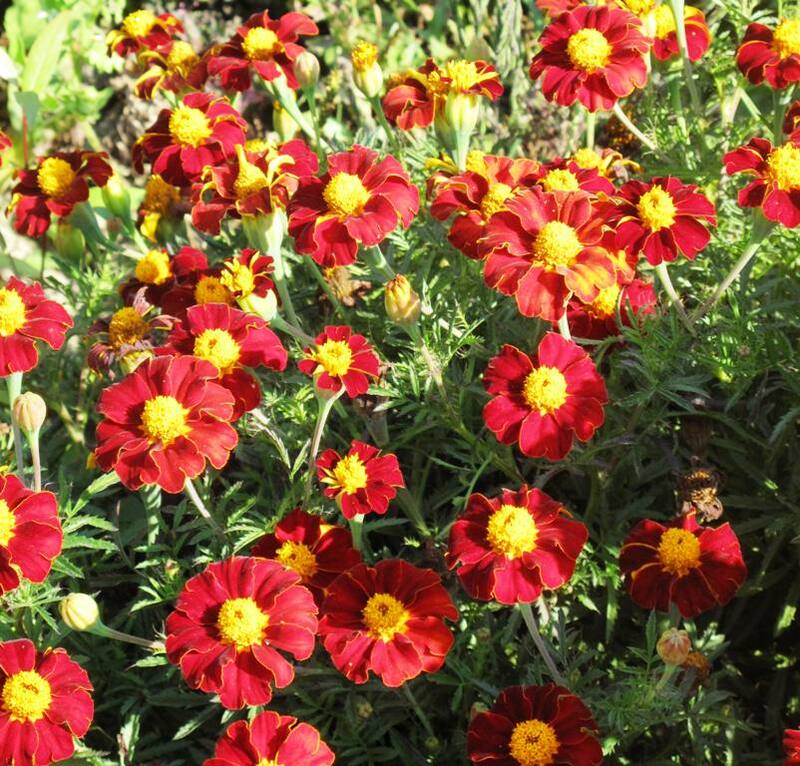 . .
Now I know you’ll never look at a marigold as a flower that’s too humble or common for your floral arrangements. Thank you, Katherine Anderson, for your inspiration today! Because of the support from you and others, listeners have downloaded episodes of the Slow Flowers Podcast more than 8,500 times! I thank you for taking the time to join to my conversations with flower farmers, florists and other notable floral experts. This entry was posted on Wednesday, March 26th, 2014 at 5:11 am	and is filed under American Grown, Blog Posts, Creativity, Entertainment, floral design, Gardening, General, Podcast Episodes, SLOW FLOWERS Podcast. You can follow any responses to this entry through the RSS 2.0 feed. You can leave a response, or trackback from your own site. It makes me happy to hear of someone who found their roots and began growing flowers. Keep up the good work. Great post! I have always loved marigolds. They are such a great gateway plant to bring people into gardening! Do you know the name of the red pealed variety in the last pic?